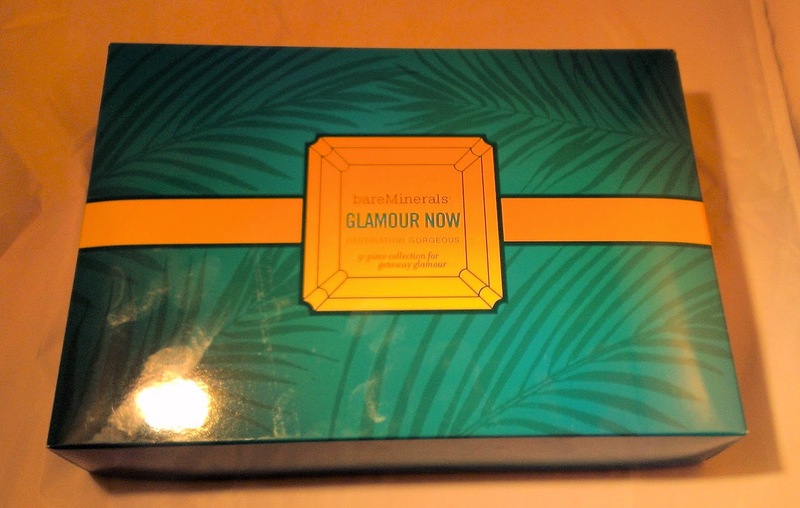 Back in November, I ordered the bareMinerals holiday TSV from QVC, Glamour Now, and it was a a really good one. This week, my UPS guy brought me the second installment in the auto-delivery series, Destination Gorgeous, and I'm loving it just as much as the first kit. One of the first products that I ever tried from IT Cosmetics was the Bye Bye Under Eyes Concealer. This was probably three or four years ago when I decided to give the brand a try after watching them on QVC for so long. I picked up the concealer and the Bye Bye Pores Powder and came away impressed with both products -- which is why I've tried more and more of the brand's products and become a seriously big fan of IT Cosmetics. In fact, they're probably up there with Tarte and bareMinerals as my favorite makeup brands at the moment. But while I love IT Cosmetics and the Bye Bye Under Eyes Concealer, I have to admit that it probably isn't the easiest concealer to use. It offers a ton of coverage, is pretty thick, and can sometimes feel a little sticky, so it's definitely one of those 'a little goes a long way' products. But Bye Bye Under Eyes comes in a squeeze tube and it can be a little difficult to get out the right amount, which can sometimes lead to applying a little too much. When that happens, it can definitely look a little cakey. That's why I was really intrigued when IT Cosmetics came out with the Eyelift in a Tube, a double-ended product that contains Bye Bye Under Eyes on one end and Hello Light Liquid Brightener on the other end. I've had some seriously good luck with e.l.f. purchases lately. The brand certainly has its fair share of misses, but when they get a product right, it's nearly impossible to beat the value. Particularly if you're like me and do all your shopping when their website is having a sale. One of my latest big hits from e.l.f. are the Prism Eyeshadow Palettes. e.l.f. 's track record with shadow palettes is a little spotty in my experience -- I've tried a couple that were pretty nice, especially considering the price, and others that have been major disappointments regardless of how affordable they were. The Prism Eyeshadow Palettes are from e.l.f. 's Studio line, where many of the brand's most successful products can be found, so it's hardly a surprise that they're some pretty impressive little palettes. If you read this blog regularly, you know that I certainly don't have a problem spending money on beauty products. It's kind of my one real indulgence. So I'm just as likely to pick up a lipstick or eye shadow palette at Sephora or a department store makeup counter as I am at the drugstore. I like to try all different brands, at all different price points, because I just love makeup and I'm curious about everything that's out there. But I do tend to shy away from what I consider the real luxury high-end beauty brands like Giorgio Armani, Chanel, Tom Ford, YSL, etc., because those prices are a little too rich for my blood. The only time I really indulge in those kinds of brands is when I've got some extra cash or gift cards burning a hole in my pocket. 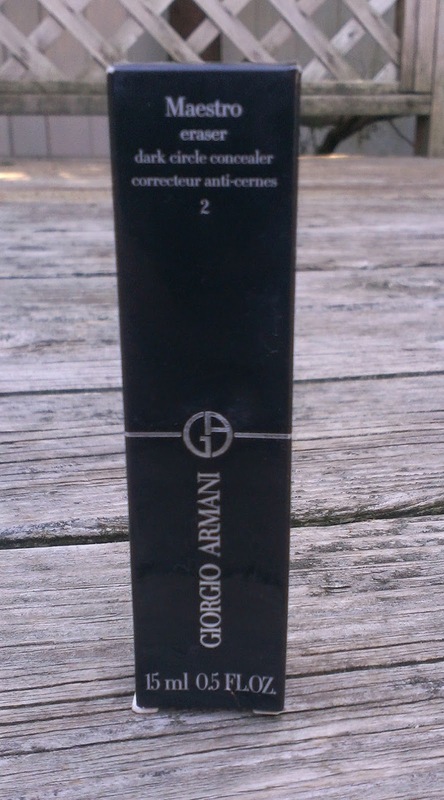 That's how the Giorgio Armani Maestro Eraser Dark Circle Concealer found its way into my life, anyway. 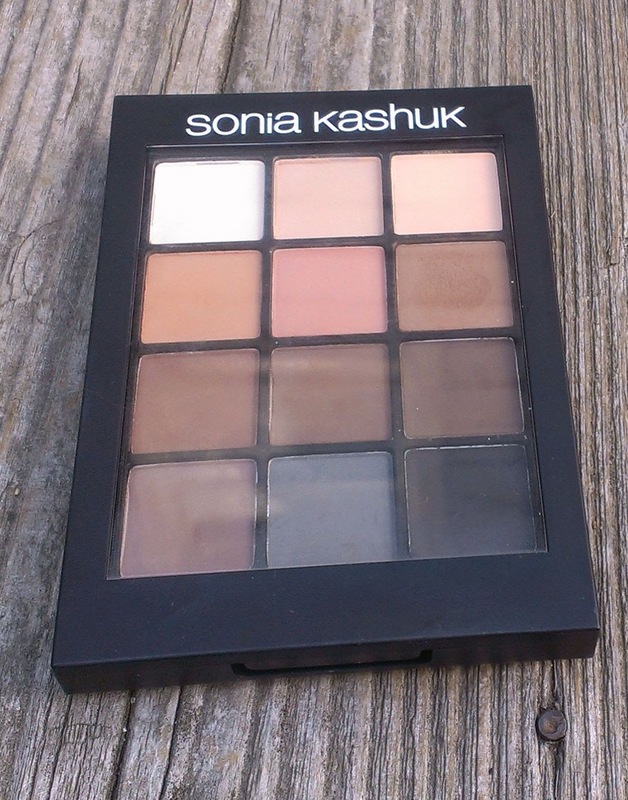 I don't say this very often, but the Sonia Kashuk Eye on Neutral 02 Eye Shadow Palette is a product that every makeup enthusiast should have in her/his collection. I've had this palette for more than six months now and every time I bust it out to use it (which is very, very often), I kick myself for not having done a review yet. Now, you may be thinking, it's a boring matte palette in mostly natural shades. And, yeah, that's absolutely what it is. But the shadows perform so well, the shades include both cool and warm shades, and you can get all 12 shadows for the reasonable price of $19.99 at Target. 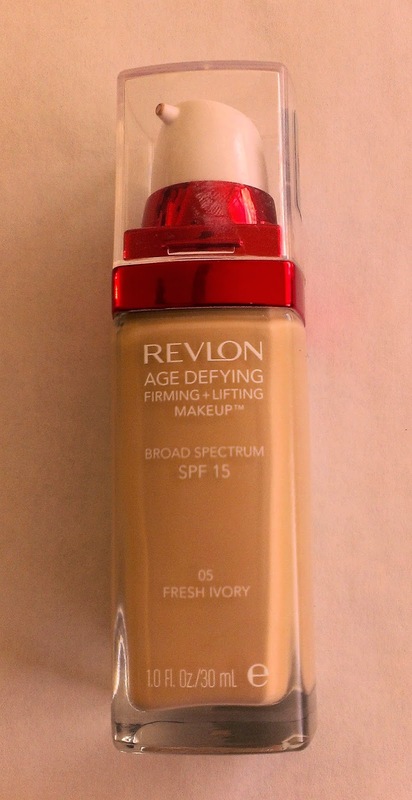 There are a lot of great foundations at the drugstore these days -- the CoverGirl Outlast Stay Fabulous Foundation probably impresses me the most, but I also love the Revlon Colorstay Whipped Creme Makeup and Revlon Nearly Naked Makeup -- but if you've got dry skin, finding one is usually a little more of a challenge. The two Revlon foundations mentioned above cooperate with my dry skin pretty well, but when I have particularly flaky, dehydrated areas, they can cling to those spots in a pretty unflattering way. So I'm always on the hunt for a budget-friendly foundation that always flatters my dry skin -- even in the dead of winter when it's flake city. I think I may have finally found it -- because the Revlon Age Defying Firming + Lifting Makeup has been a pretty amazing fit with my skin. So I've been a Julep Maven for about a year and a half. It's another of those monthly subscription boxes, but this one is put out by Julep, a company mainly known for their nail polishes. The difference between the Julep Maven box and others is that you can choose to receive or skip the box in any given month -- and they show you what's coming in your box each month to help you make your decision. I typically skip every other month or so because I've got so much nail polish that unless a shade really catches my eye, I can't justify the expense. 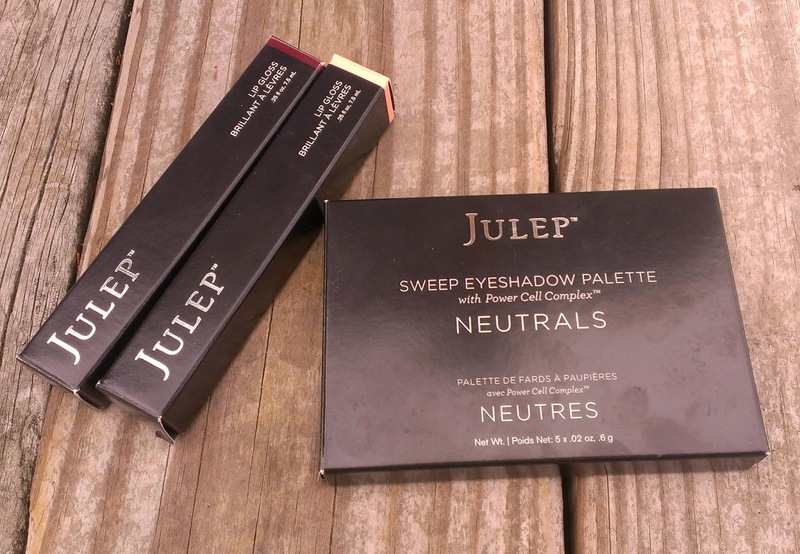 However, over the past year or so, Julep has been expanding in makeup products and my box type (there are several different categories that you can be placed in based on how you fill out your profile; keep in mind that you can change your category for a given month if a different box appeals to you) has included these color products instead of nail polish the past few months. You know me -- I can't resist trying new makeup, so I've been getting the boxes a little more often. But you don't have to be a Julep Maven to purchase products from Julep, so I thought I would review a couple of the items I've tried recently in case you're curious.